We have had an exciting couple of days. Last week, CEO of Seattle-based Gravity Payments, Dan Price, flew in to surprise our CEO, Megan Driscoll. Yesterday, the story was featured in The Boston Globe. You can view the article HERE, but I’ve also posted it below for your convenience. Why did this mean a great deal to us? Dan is the “70 K CEO”, the original crazy executive who decided to raise his company minimum wage to $70,000. The media criticized him, told him it would fail, and condemned him for “outright socialism.” Nearly two years later, his company is thriving. How does this relate to PharmaLogics? Megan was inspired by Dan’s story at the 2015 Inc. 5000 Conference, instituted a pay raise in January of 2016, and we have had our most successful year in company history. Revenue and our staff size have grown by almost 50 percent, profit margins have remained steady, and retention rates have doubled. We have implemented a department dedicated to Staffing, Training, and Employee Engagement. We improved our Employee Wellness Program with certified personal trainers from The Active WorkPlace, healthy food and drink options, and fitness competitions. We have received local acknowledgment as a Boston Chamber of Commerce Small Business of the Year, a Boston Business Journal Best Place to Work, a Boston Business Journal Largest Executive Search Firm, and a Boston Globe Top Work Place. On a national scale, we have been recognized as a U.S. Chamber of Commerce Small Business of the Year, a Staffing Industry Analyst Fastest Growing Staffing Firm, and a three-time Inc. 5000 Fastest Growing Private Company in America. Finally and perhaps, most importantly, we have expanded the number of clients we service while improving our overall client retention rate. Whether you are a past client, current client, or you’re considering working with us, this article is a behind the scenes look at who we are as a company. We are a growing firm, focused on our company culture. We value our people and they, in turn, are more productive, energized, and passionate about representing your company to prospective employees. We look forward to continuing to (or the possibility of) servicing you to the very best of our abilities. 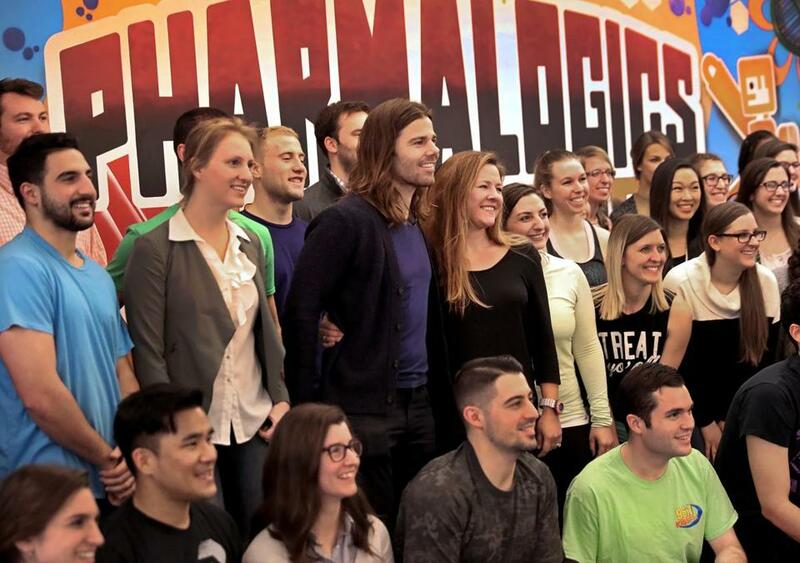 PharmaLogics Recruiting employees joined CEO Megan Driscoll and Dan Price, CEO of Gravity Payments (center), at a company gathering. Megan Driscoll had been running her Quincy biotech recruiting firm like the CEO she thought she was supposed to be, with a “profits are all that matter” mindset. She paid entry-level employees $37,500, plus up to $20,000 a year in commissions, but because a big chunk of their salary wasn’t guaranteed, she knew it was difficult for them to buy a house or make other decisions that required a more stable income. After attending a talk by Dan Price, the chief executive of a Seattle credit card processing company who is increasing the minimum salary of all employees to $70,000 a year, Driscoll decided it was time to do things differently. Based on calculations she made on a cocktail napkin on the plane ride home from that Orlando conference in the fall of 2015, Driscoll gave all PharmaLogics Recruiting employees a raise a year ago, including bumping up 35 recruiters’ starting base pay by 33 percent, to $50,000 a year. Workers still have the opportunity to make commissions, too, averaging $15,000 to $20,000 a year. Driscoll didn’t stop at raising salaries. She brought in trainers to teach yoga and hold workout classes, had fresh vegetables delivered every week, and stocked the fridge with coconut water and kombucha. “It just gave me license to be a little bit unchained in my management style,” she said. Last week, Driscoll got a surprise visit from Price, who showed up during an officewide yoga session. When Price walked up to Driscoll, cameras rolling behind him, she jumped up from her yoga mat and hugged him: “Oh my God, I’m going to have a heart attack,” she said. Then she ran off to get the Inc. magazine cover featuring Price she displays prominently in her office. “This is like having a massive celebrity among us,” Driscoll told her employees. The results of PharmaLogics’ pay raise “which cost almost half a million dollars” have been significant. Revenues and the number of employees have grown by almost 50 percent, profit margins have remained steady, and retention rates have doubled. A thriving economy could be responsible for some of this growth, but the company found that productivity has also increased. In the year since the raises went into effect, recruiters screened a third more job candidates every week, on average, compared to the year before. Driscoll met with Price at another conference last fall, after Driscoll stood up during a Q&A with Price and told him what she had done. Price told her he would visit and decided to make it a surprise, documenting it to share on social media. Price, who cut his own pay from $1.1 million to $70,000 to help fund the raises at his company, has become a proselytizer of sorts for raising wages, talking to dozens of chief executives interested in following his lead. Price made his move as the national conversation about income inequality and low-wage workers heated up, and Seattle’s first-in-the-country legislation to increase the city’s minimum wage to $15 an hour went into effect. Since then, a number of businesses have announced pay raises, and several cities and states have pegged their minimum wage at $15 an hour. Worker advocates hailed Price as a hero; others called him a fool. Conservative talk show host Rush Limbaugh denounced the move as “pure, unadulterated socialism” that was doomed to fail. Several employees quit, upset by the fact that some new hires would get a huge increase while longtime employees would get little or nothing extra. Price’s brother and co-founder took him to court ” and lost. Driscoll participated in a yoga class at PharmaLogics. In the meantime, business has been booming. A year after the first of three annual salary bumps to get to a $70,000 minimum, which will double the earnings of the lowest-paid employees, the privately held company reported that employee turnover had plummeted and profits had nearly doubled. Among other changes: Commuting times fell as more workers could afford to buy houses closer to the office, and the number of employee babies increased, with some employees reporting that their higher incomes allowed them to start a family sooner than expected. Price maintains that paying people a living wage helps people focus on the mission of their company and become bigger contributors: “Now that I am entrusted to make a decent pay rate I want to step up and be an important decision maker and an important member of the team,” he said. A number of factors could be contributing to the growth at these companies, said Michael Norton, a Harvard Business School professor who co-authored a case study on Gravity Payments that dubbed Price “the $70K CEO.” Some research shows that employees who are paid better tend to perform better and that when employees perform better, customers are more likely to enjoy their experience and generate more business. “Media coverage can also attract more customers and potential employees,” Norton said. But the evidence is mixed on whether raising employee pay actually improves a company’s performance. Before PharmaLogics recruiter Shayna Moran got her raise, she was living in a friend’s dark basement with a mild infestation of millipedes. Today, Moran, 23, now a project manager, has paid down her student loans and lives in a two-bedroom apartment on the beach in Quincy. “I have windows,” she said. Chris Passmore, 31, also a project manager who worked his way up from recruiter, lost the house he and his wife had closed on after he took a pay cut to work for PharmaLogics and the banks reevaluated their finances. Since the pay raise, he has bought a house. Hitting his commission goals used to cause Passmore stress, but now that he has a higher guaranteed salary he is more relaxed and more productive. 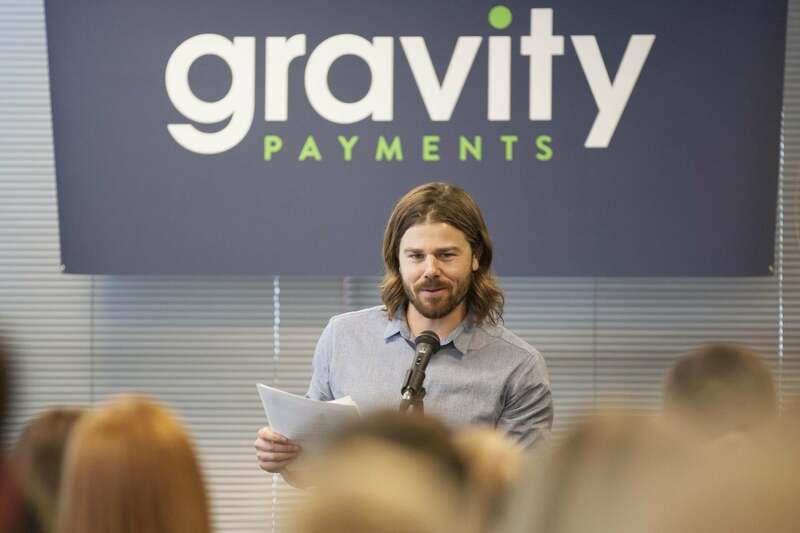 Gravity Payments’ Price inspired a Quincy chief executive.